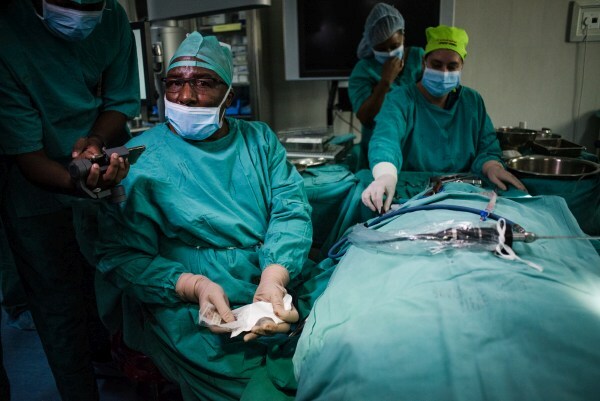 South African Professor makes history, performs world’s first 3D inner-ear surgery! Professor Mashudu Tshifularo and his team at the University of Pretoria performed the world’s first middle-ear surgery using 3D technology! They effectively replaced the hammer, anvil, stirrup and the ossicles that make up the middle ear. The surgery, which can be performed on everyone including newborns, has benefitted two patients already. The 3D-printing technology is used to print these bones, and is also used in surgery to reconstruct the ossicles. “By replacing only the ossicles that aren’t functioning properly, the procedure carries significantly less risk than known prostheses and their associated surgical procedures. We will use titanium for this procedure, which is biocompatible. We use an endoscope to do the replacement, so the transplant is expected to be quick, with minimal scarring,” explains Prof Mashudu Tshifularo. According to the South African Hearing Institute, our hearing ability naturally declines from age 30 or 40. In fact, by age 80, more than half of humans will suffer from significant hearing loss. While hearing loss is a natural part of ageing, it could also occur as a result of disease or infection. It may also be inherited or be the result of physical damage to the ears or head. The surgery also aims to simplify the reconstruction of ossicles during middle ear procedures, such as ossiculoplasty and stapedectomy, in order to increase the chance of success with minimal intrusion trauma. Prof Tshifularo is the Head of the Department of Otorhinolaryngology (ear, nose and throat studies, ENT) at the University of Pretoria (UP), and is widely recognised as one of the best ENT specialists in the country. His leadership has significantly contributed to the advancement and transformation of the Department. This surgical procedure using 3D-printed middle ear bones, developed by Professor Mashudu Tshifularo and his team at the University of Pretoria (UP) Faculty of Health Sciences, may be the answer to conductive hearing loss, a middle ear problem caused by congenital birth defects, infection, trauma or metabolic diseases.